Unite has announced that up to 27,000 bus workers will be taking part in a London wide bus strike on Tuesday 13 January. The 24 hour stoppage follows the continued refusal by London’s 18 bus operators to enter into talks about a single London wide agreement covering bus workers’ pay, terms and conditions. In contrast to tube drivers, there isn’t one collective pay deal for bus drivers in the capital, whose pay is negotiated on a company by company basis leading to pay inequality and disparities. There are over 80 different pay rates covering London’s bus drivers, doing the same job, even driving the same route but for different rates of pay. “Passengers pay one fare to travel on London’s iconic red buses, yet there are over 80 different pay rates covering bus workers, many doing the same job or driving the same route but for different rates of pay. Strike action is not a step our members take lightly, but bus workers who keep London moving 24 hours a day, seven days a week, have had enough of pay inequality and unfair pay disparities." Unite represents over 27,000 bus workers working for 18 bus companies who serve Greater London. See the full Unite press release here, and BBC coverage of the strike here. 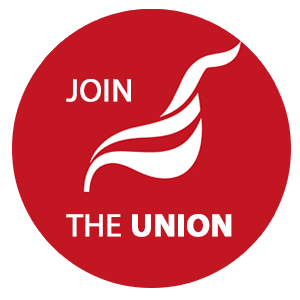 The Unite Housing Workers Branch sends solidarity greetings to all those taking part in the action.